← Journey’s End & the Nature of War. Hello Senior 2 and Senior 3! We are launching a new project for this year with students from Newlands School in Adrogué. The theme of our project is the causes of WW2. In this 1st phase, you created your accounts in Diigo.com to have a collection of sources. Moreover, I have created pairs between the students from S2 and S3 for you to be able to work on the personal blogs from the people in S2. Here are your pairs!! 🙂 Enjoy! Create a post in your blog with the title of the coflict you are analysing. 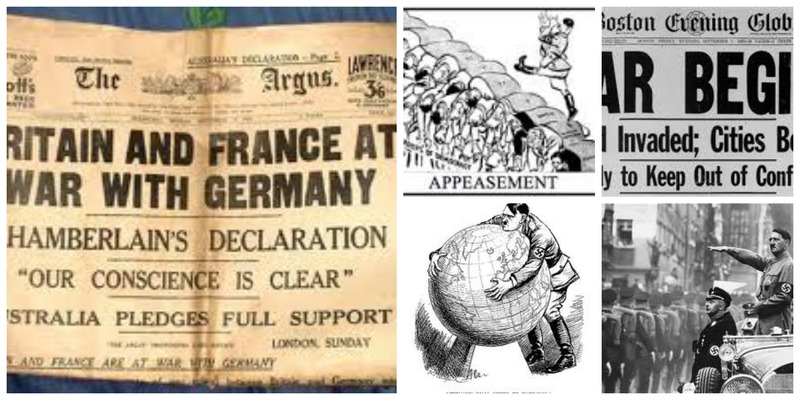 Create a multimedia text where you summarise the conflict saying which term of the Treaty Hitler broke, the action/s he took and the response of Britain and France to Hitler’s actions. b) Message of the source. This entry was posted in HISTORY S2 2014, HISTORY S3 2014, So far so good.... Bookmark the permalink. One Response to Short Term Causes WW2 – Senior 2 & 3 Project. First source, http://www.google.com.ar/imgres?imgurl=http://www.comictreadmill.com/CTMBlogarchives/2007Images/12Days6GooseStep.jpg&imgrefurl=http://gr10history.asb-wiki.wikispaces.net/Causes%2Bof%2BWorld%2BWar%2BII&h=298&w=200&tbnid=ysiKJ3SUi7K-yM:&zoom=1&docid=SbXC1_HvttbNWM&ei=kJpeU8-wAYeQyATbsoHQCQ&tbm=isch This is a primary source, that is from the point of view from Britain, it is a cartoon mocking Hitler about his absurds excuses. Second Source, https://www.youtube.com/watch?v=fcVgKBSScZ0 This is a secondary source frm the point of view of the Germans, it is describing and showing when Hitler remilitarized the Rhineland it is his speech. 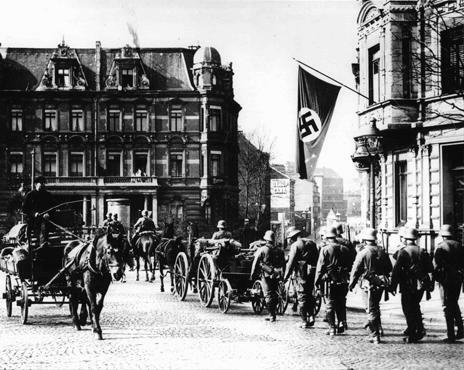 Third Source, http://www.ushmm.org/lcmedia/photo/lc/image/70/70032.jpg This is a primary source, it is a painting/photo of the army in the rhineland, we think it is from the point of view of the Germans. Fourth Source, this is a primary source https://www.diigo.com/item/image/4r709/q26r It is showing how Hitler is “going out” or baraking the Treaty of Versailles, it is from the point of view of the Allies. Fifth Source, https://i.chzbgr.com/maxW500/5943156224/h9E491E2F/ This is a secondary Source, it is from the point of view of the Germans because it shows that the Rhineland it is in grey as it is painted Germany, so we think that is perhaps showing that Hitler has already “aduenate” of the Rhineland.